A west bound swings into the curve. 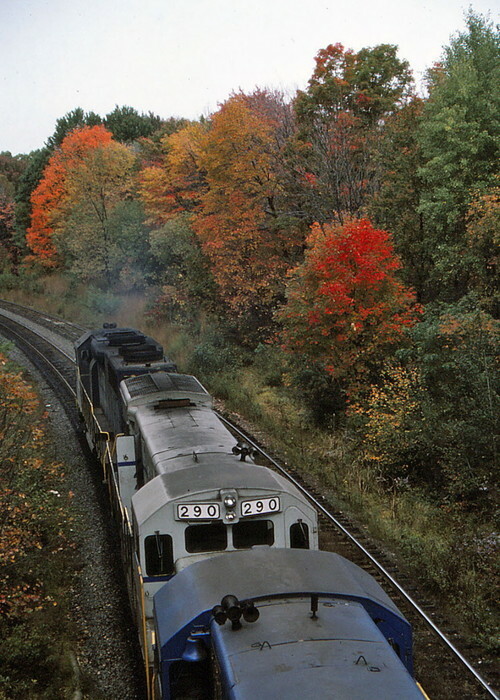 Photographed by Bruce Macdonald, October 3, 1986. Added to the photo archive by Bruce Macdonald, November 5, 2018.